Happy almost weekend to everyone! I can't wait for the weekend, just to be at home and relax. As much as I love being active all week, by the end of the day I am physically really tired. So hopefully this weekend things go a little more slowly for me. I am excited to share with you this week's style collage. A few months ago I restarted my passion of painting. It was 15 years ago, (wow!) when I had my first painting class, which only lasted for a year. After that, I got busy with other things, and left painting behind until I found a great art studio in KL which I have been going to once a week for almost 3 months. And I love it. I still can't come up with my own art piece, so I take inspiration in other paintings and try them make them my own. We already have a few paintings hanging in our apartment, and they are definitely more special than the art that we store bought. This week I finally finished my fourth one that I was struggling with a little bit, and decided to start something completely different than the rest I did before. I chose to paint a Mark Rothko painting. I have known his incredible art work since I moved to Houston, and explored the Rothko chapel. If you are around that area, please go and just enjoy the beautiful art work and the peacefulness that that place has. 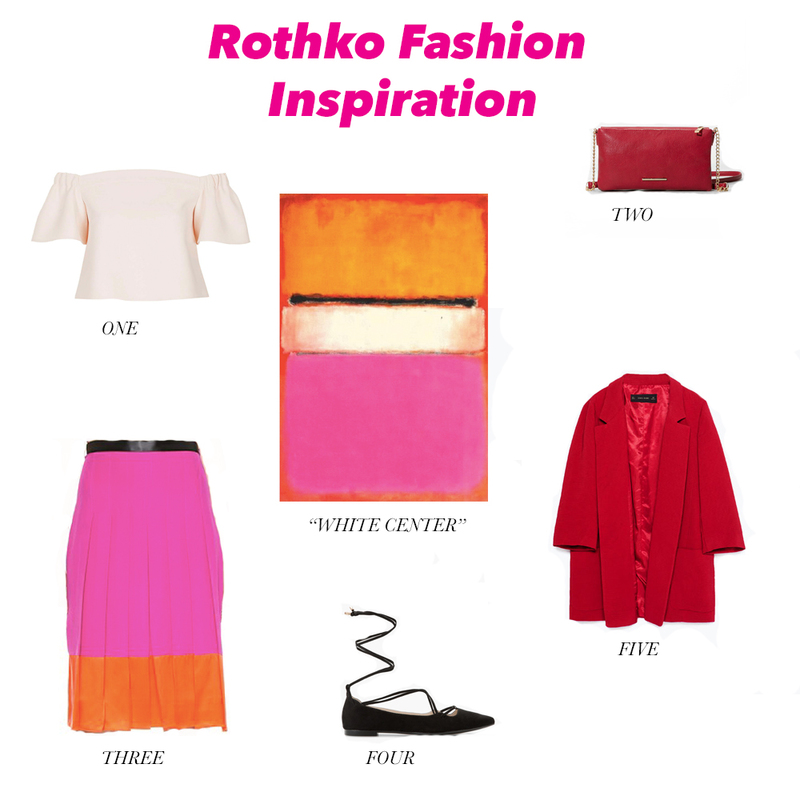 The painting is called "White Center" by M.Rothko, painted in 1950. I can't wait to finish painting this piece and share it with you later. For now, I chose some items that made a colorful outfit. It is almost as if you wear wearing the painting. Now Gavin and I are off to bed and to rest for a very long long time!